Damascus (AFP) - Moscow pressed its military buildup at a new airbase in Syria Saturday, as Washington admitted rebels it trained surrendered ammunition and equipment to Al-Qaeda in a fresh US policy setback. A decades-long backer of the Damascus regime, Moscow has steadfastly supported President Bashar al-Assad throughout four and a half years of war that has killed more than 240,000 people. Its recent deployment of troops and warplanes to Syria, combined with new arms deliveries to Assad's forces, appears to have prompted a significant shift in international efforts to end the conflict. EU diplomatic chief Federica Mogherini and Iranian Foreign Minister Mohammad Javad Zarif met Friday in New York to discuss "the need to bring the war in Syria, which has caused so much suffering, to an end," the EU said. US Secretary of State John Kerry was also due to meet Zarif Saturday in New York, and Russian President Vladimir Putin will meet his US counterpart, Barack Obama, on Monday. Saturday was the 15th straight day Russian transport aircraft had flown in troops and equipment to the Hmeimim base in Latakia province on the Mediterranean coast, a military source told AFP. "For the past two weeks and again today a Russian cargo plane has landed every morning at Hmeimim," the source said, adding they all had fighter escorts. At least some of the cargo was then unloaded and transported out of the airport, the source said. 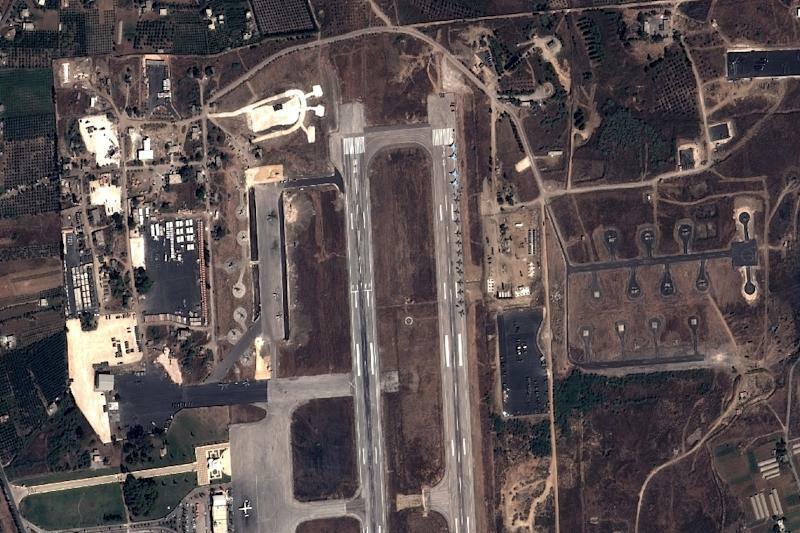 US satellites have recorded increased activity by Russian forces at the base inside the Bassel al-Assad civil and military airport. On Wednesday, the Syrian army used Russian drones for the first time, a security source in Damascus said. Washington and NATO say recent spottings of helicopters, bombers, ground attack aircraft, tanks and troops prove Russia is building an airbase in Latakia, the Assad regime's coastal heartland. Russian military aircraft have conducted reconnaissance flights over Syria but not yet launched any strikes, the Pentagon said. One senior Syrian official called Russia's military involvement a "turning point". Hassan Nasrallah, the leader of Lebanese Shiite militant group Hezbollah, which has fought alongside Assad's forces, said Russia's military support would "affect the evolution of the ongoing battle in Syria". The United States has said it "could find areas of cooperation" with Russia if Moscow were to join the fight against the Islamic State jihadist group. Moscow's intervention comes with Washington's own policy for fighting IS in Syria in increasing disarray. The US has a $500-million programme to train and equip vetted moderates recruited from among the rebels fighting Assad, but it has faced repeated setbacks. 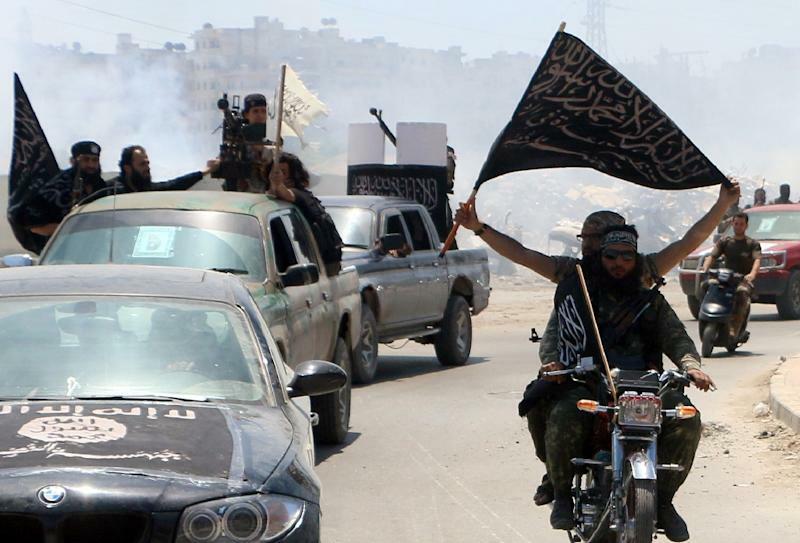 In a shock admission Friday, the Pentagon said a group of US-trained rebels had handed over ammunition and equipment to Al-Qaeda's Syria affiliate, the Al-Nusra Front, purportedly in exchange for safe passage. "Unfortunately, we learned late today that the NSF (New Syrian Forces) unit now says it did in fact provide six pickup trucks and a portion of their ammunition to a suspected Al-Nusra Front," said spokesman Captain Jeff Davis. The unit, which included about 70 rebels, was trained in Turkey and sent into Syria last weekend. Colonel Patrick Ryder, a spokesman for Central Command, which is overseeing the campaign against IS, said the pickups and ammunition represented about 25 percent of the materiel issued to the group. That was the latest blow for the troubled programme. The first 54 graduates were attacked by Al-Nusra in July, and the Pentagon says it is not sure what happened to them. In other developments, efforts to evacuate civilians as part of a six-month truce in flashpoint Syrian villages stalled when protesters blocked a key route, the Syrian Observatory for Human Rights said. "Dozens of men... cut off the road that was to be used to evacuate civilians from Fuaa and Kafraya," the last two regime-held villages in northwest Idlib province, Observatory head Rami Abdel Rahman said. A UN-brokered ceasefire to include Fuaa, Kafraya and Zabadani -- the only remaining rebel bastion along Syria's border with Lebanon -- was reached Thursday between warring parties in Syria.